The 2013-2017 Pathfinder is a comfortable mid-size 3-row/7-seat family SUV. It comes in a front- or all-wheel drive configuration. Unlike the previous truck-based model, this fourth-generation Pathfinder, known as R52, is build on a car-based platform. 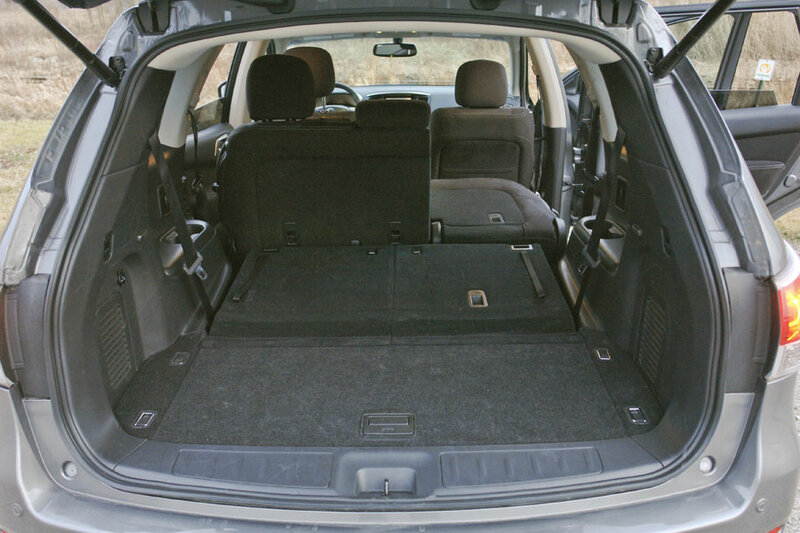 This change allowed for more interior space, refined ride and better fuel economy. The 2015-2017 4WD Pathfinder is rated at 19/26 MPG, which is not bad for the vehicle of this size. The maximum towing capacity is listed at 5,000 lbs. The US Nissan Pathfinder is assembled at the Smyrna, Tennessee assembly plant. Is Nissan Pathfinder reliable? What are the common problems? What years should be avoided? We test drove the 2015 Pathfinder and did our research, read below. Lineup: The US lineup consists of the base S, popular mid-level SV, upscale SL and top-of-the-line Platinum with premium Bose audio system, 120V power outlet and 20" wheels among other features. The 2014 model year saw the addition of the Pathfinder Hybrid with the supercharged 2.5L 4-cylinder engine. Interior and features: The third-row seats recline and fold forward. The 60/40 split second row slides and folds down. The second-row floor is flat. 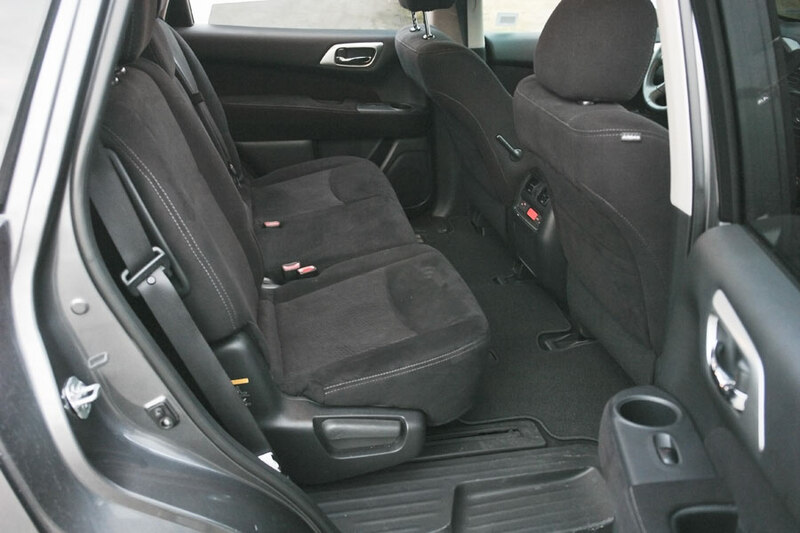 The right second-row seat can tilt and slide forward even with a child seat attached. 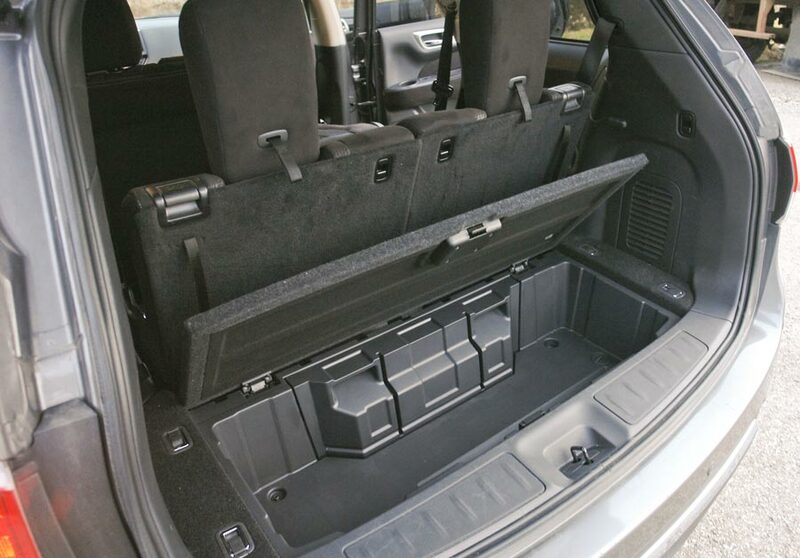 With the second- and third-row seats folded down flat you get 79.8 cubic feet of cargo space. The remote engine start and heated steering wheel available in top trim levels are very useful in cold climates. One of the interesting features is an around-view monitor that shows a view of the vehicle and surrounding space from above on the center display. The system works by combining the views from 4 cameras into one composite view. Around View Monitor is available in 2015+ SL, standard in Platinum. Engine: Except for rare hybrid models, the Pathfinder is powered by the well-known 3.5L V6 VQ engine (VQ35DE) that has been used in many Nissan and Infiniti vehicles. It's a proven strong and reliable DOHC motor that can last for well over 200K with good maintenance. The US 3.5L V6 engine is built at the Decherd, Tennessee plant. Timing belt or chain: The 3.5L V6 VQ engine has a maintenance-free timing chain, there is no timing belt. 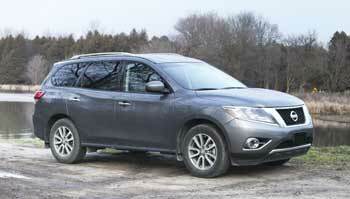 Mechanical: The Pathfinder has MacPherson struts in the front suspension and a multi-link setup in the rear. The steering is hydraulically-assisted. The engine is transversely-mounted. The only transmission choice is the Continuously Variable Transmission or CVT. Read more: Pros and cons of buying a car with a CVT transmission. 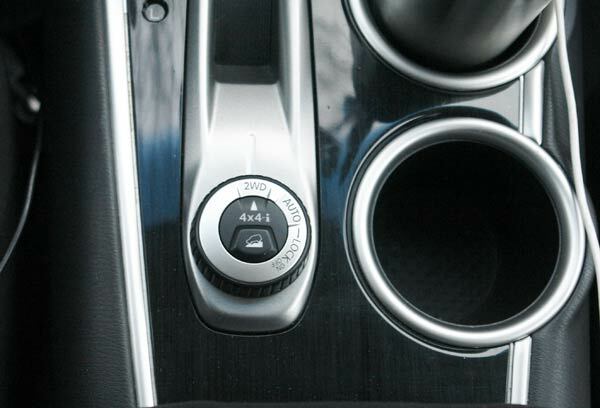 The Pathfinder 4WD system can be manually switched to 2WD, Auto or 4WD Lock modes using the switch on the center console. Fuel Economy: The 2015-2017 2WD Pathfinder is rated at 20/27 MPG. That means, on a long interstate trip, you can get up to 485 miles (780 km) on a 19.5-gallon (74-liter) fuel tank. It's better than most mid-size and large SUVs. The Pathfinder Hybrid gets 25 MPG city, 27 MPG highway. See the EPA fuel consumption ratings in the table. 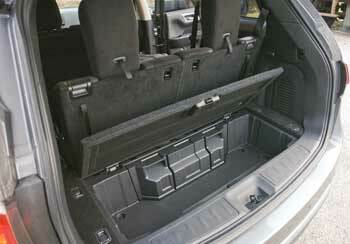 Handling and ride: The Pathfinder drives like a large car. The engine is responsive and smooth. The ride is comfortable and quiet, road engine and tire noises are well muted. It's also surprisingly maneuverable offering the car-like 38.7 feet curb-to-curb turning diameter. Safety: Vehicle stability control system, antilock 4-wheel disc brakes are standard. Rear Cross Traffic Alert and Blind Spot Warning are available in SL and Platinum from 2015. See NHTSA crash test results in the table. Pros: Strong engine, good acceleration, comfortable ride, reasonable fuel economy, roomy interior, well-laid-out dash, family-friendly features, small turning diameter, available around view monitor. Cons: Troublesome CVT in early models, questionable long-term reliability, CVT is not strong enough for towing. 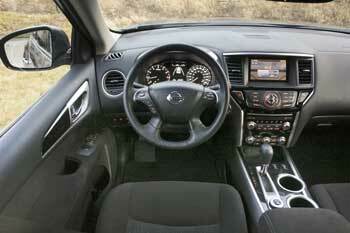 Nissan Pathfinder problems: The CVT transmission in the 2013-2014 Pathfinder got by far the most complaints. Owners describe intermittent lack of power and jerking/shaking or "judder" as Nissan refers to it. Nissan has issued several bulletins on the issue. Solutions included reprogramming the TCM (updating the CVT software), replacing the control valve assembly (part of the CVT transmission), or replacing the CVT transmission. As of April 2018, Consumer Reports gave the 2013-2014 Pathfinder "one out of five" rating for the reliability. The 2015 and newer Pathfinder models were rated better. We found a similar pattern researching the complaints at the NHTSA website: as of April 2018, the 2013 Pathfinder had close to 600 complaints, while the 2015 Pathfinder had only 92. 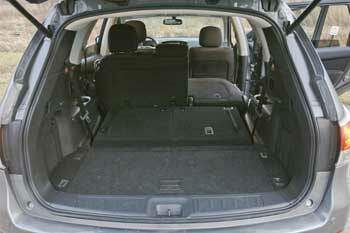 With that in mind, used car shoppers may want to avoid the 2013-2014 Pathfinder. On the plus side, according to the NissanAssist.com Nissan has extended the Non-Hybrid CVT warranty coverage on 2013-2014 Pathfinder to 7 years/84,000 miles, whichever comes first. We also found many positive owner reviews that mention no CVT problems at all. We extensively test-drove the 2015 Pathfinder and took a quick drive of the 2016 Pathfinder, both 4WD. Neither exhibited any symptoms. Among other problems, several owners mentioned issues with sun visors not staying in the upright position. The driver's sunvisor was listed for $115 on Amazon. Check some Youtube videos on how to fix. Besides that, many owners mentioned various trim pieces falling apart. The service bulletin NTB15-112 describes a problem with a bad stop lamp relay that can cause intermittently low power when accelerating and the brake light staying on. The repair involves some rewiring and replacing a stop lamp (brake light) switch with an updated part. A bad wheel bearing can cause a humming noise that is more noticeable at higher speed and gets louder or quieter when changing directions. Replacing a wheel bearing costs $80-$180 for part and $200-$350 labor. Nissan issued several recalls for some Pathfinder models that you can check at the NHTSA website with the VIN number of your vehicle. What to look for during a test drive: When shopping for a used Nissan Pathfinder, test drive for as long as possible, watching for hesitation, slipping or shudder during acceleration. Some owners describe a problem with the CVT where it engages hard when accelerating slightly after coasting for a while. If you can arrange for a pre-purchase inspection, ask a mechanic to check for leaks from the transfer case and from the transmission cooler lines, we found a few reports of these problems. It's a good idea to check with a Nissan dealer if all recalls have been done. Read more: How to inspect a used car, illustrated checklist. 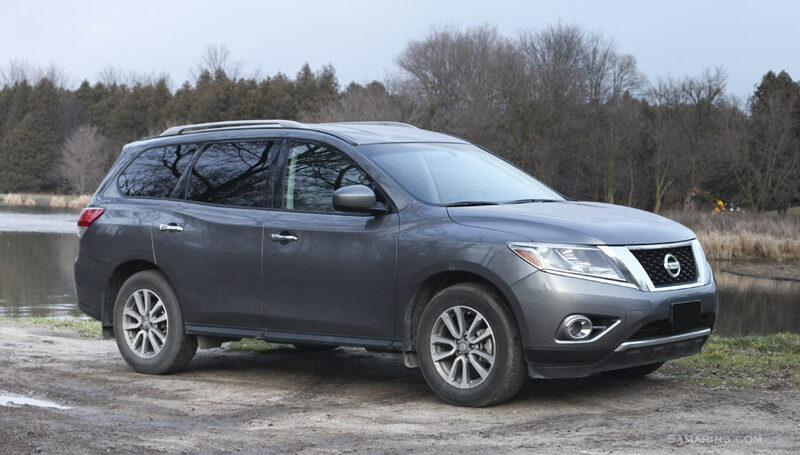 Engine oil viscosity and capacity: We checked owner's manuals for the US 2013-2018 Nissan Pathfinder, which you can access here. According to these manuals, for the 2013-2014 V6 VQ35DE engine Nissan recommends using SAE 5W-30 oil. The manuals for the 2015-2018 Pathfinder list SAE 0W-20 as the recommended oil viscosity. The approximate Drain and Refill engine oil capacity (With oil filter change) for the 3.5L V6 is listed at 5-1/8 US qt or 4.8 liters. Pathfindertalk.com - Pathfinder owners forum.